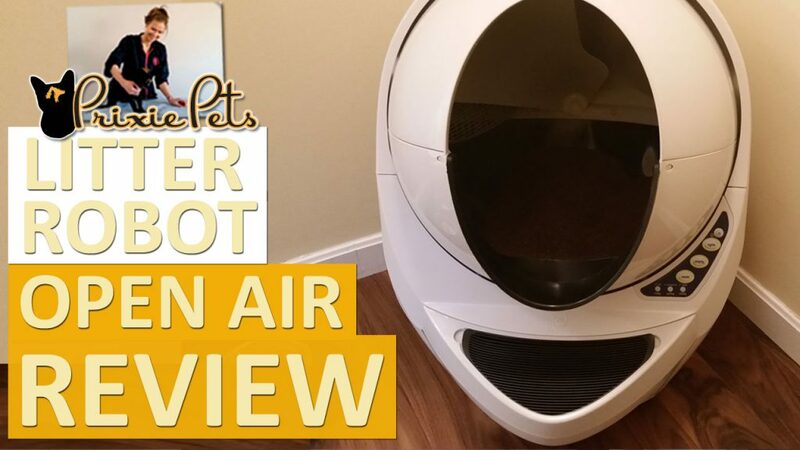 The Litter Robot Open Air III is the newest automatic, self cleaning cat litter box released from Automated Pets. I don’t know anyone that likes to clean or scoop their cat litter box. With the Litter Robot, the claim is you won’t have to. The whole process is automated, working while you are gone. You’ll only have to empty the waste bin weekly to get rid of your cat messes. Purpose: The Litter-Robot III Open Air is an automatic self cleaning litter box. With the options of either 3, 7, or 15 minutes after the cat has exited, the Litter Robot will automatically rotate, separating the clean litter from the dirty litter and depositing it in a sealed drawer below the unit. Cost: This is the most expensive litter box I have ever seen, but it is a robot! It cleans the box for you and you can tell a lot of thought and engineering has gone into this product making it the best automatic litter box out there. It costs around $449.00. Use this link and receive $25 off and FREE shipping. Durability: This unit is very sturdy and comes fully assembled. There was no cutting corners here. Every part of the Litter Robot is of good quality. They also offer a 90-Day Money-Back Guarantee and 18-Month Warranty. When the unit rotates it is very smooth and more quiet then I expected. The buttons on the control panel will uphold years and years of use. How well it works: I am so impressed with the Litter-Robot III Open Air. I feel they have thought of everything when it comes to features. The ease of set up, use and acclimating our cats to it has been incredibly easy. I’m still pretty mind blown when I watch this Robot so simply separate the waste from the clean litter. We will NEVER have to scoop or even empty a litter box again! There is an “empty” cycle that will remove all of the litter that is in the Litter Robot into the drawer for when you want to do those monthly litter exchanges to use completely new litter. Because the Litter Robot removes the waste in minutes there is virtually no smell and you will have no build up which will save on how much litter you will go through. The amount of times you will need to empty the drawer where the waste is stored will depend on the number and size of cats you have. Typically they say twice a week with 2 cats and once a week with 1 cat, but because they have thought of everything you don’t even need to think about that because there is an indicator light that informs you when the drawer is full! With an extra spacious litter chamber it is great for large or small cats(5 lbs and up). It also has a sleep mode & lock out feature plus an optional automatic night light. If you set it in sleep mode the litter robot will not self clean for 8 hours from the time it was originally set into sleep mode. It will remember this each night until you take it off sleep mode. This is great if the Litter Robot will be located in a bedroom. Amazing right? Negatives: It is a bit expensive for a litter box, but because of the time I will be saving not having to scoop and how it contains the odors it is 100% worth it to me. With anything electronic I worry about the motor or any other part breaking. There is an 18 month warranty, extendable for additional cost, and also a repair service offered. Buy the Litter-Robot III Open Air : Get $25 Off through this Link! You need to use a fast clumping cat litter for the Litter Robot. Prior, we recommend an all natural, walnut based cat litter. We found the best fast clumping cat litter in our product review. We’ve been using it for a long time as our dog, Bruin, seemed to like eating cat litter. The plastic bags don’t need to be that sturdy, there is only a couple pounds of waste each week you change it. Here’s a economical solution for trash bags. The Litter Robot keeps foul odors at bay with a thick carbon filter that attaches on the inside of the waste tray. It initially comes with one installed that should last about 6 months, so you should have new filters ready to swap out. 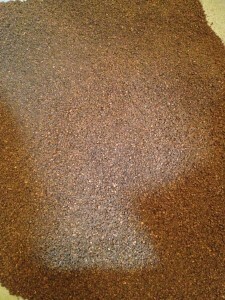 Buy these and cut into shape or get specialty designed carbon filters direct from Automated Pets. Look at the many accessories to extend the utility of your Litter Robot. We recommend getting the Litter Fence and extra carbon filters to start. The only negative to the Litter Fence is that it may make it difficult for very young kittens and elderly cats. For most cats, the fence will support full entry and reduce litter from escaping the Litter Robot. You can order official accessories here. Automated Pets recommends cleaning your Litter Robot once a month. We personally have been doing a complete cleaning every three months. Initially, we were having a problem with our larger cat, Wally, from not entering the box all the way and peeing in the front rubber part. On top of that, the litter we were using did not soak up the pee as much, so the box started to smell after a couple weeks as the litter would start to collect, staying wet. We have since changed litter, and while Wally still pees in the front a lot, the new litter has gotten rid of the smell. We will be ordering our own fence shortly and will update the progress here, so be sure to sign up for our newsletter bellow.